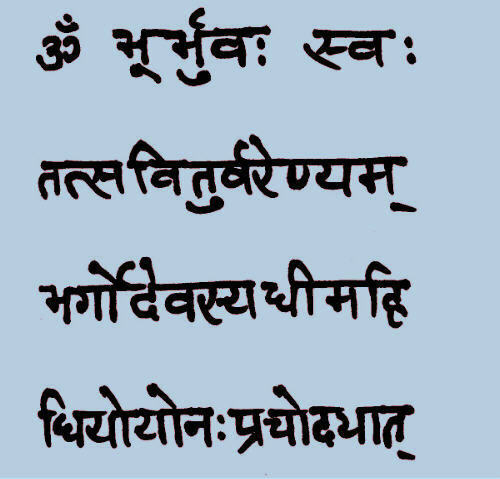 Gayatri Mantra (GUY-ah-tree) is one of the most known and beneficial of the ancient Sanskrit mantras. Gayatri is a mantra of physical, emotional, and mental healing, purifying the subtle karmas, protection from the onslaught of obstacles, and of spiritual awakening or Self-realization. Listening to this online Gayatri mantra recording of 108 repetitions (18 minutes) is equivalent to one round of a mala. A mala is a set of counting beads with 108 beads. Only 100 are counted, with the other 8 considered an offering to the divine, however you personally hold that. You might choose to do 1, 2, 3, or 4 rounds of 108 mantras per day, counting with a set of mala beads. Or, you can use the Gayatri Mantra CD instead of the mala beads, as the CD has 4 tracks of 108 repetitions each. You might choose to do 1, 2, 3, or 4 tracks of 108 mantras per day. You might also want to alternate between doing some with the recording and some without, counting instead with a set of mala beads. Such an extended practice with Gayatri mantra can have a tremendous effect in stabilizing the mind in preparation for advancing in meditation. Such a practice simply must be done personally to understand the benefits. 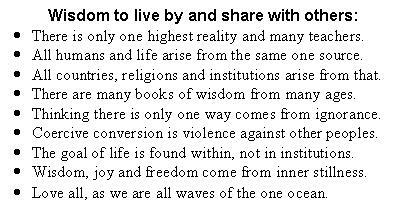 It does take quite a commitment to do this practice every day for such a long period, but it is well worth the effort.